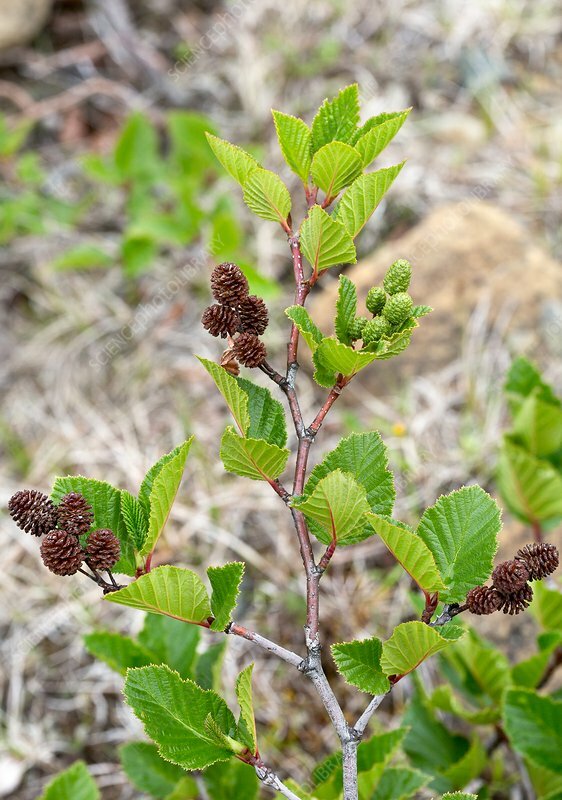 Mountain alder (Alnus sp.) with young female cones. Photographed in Canada.